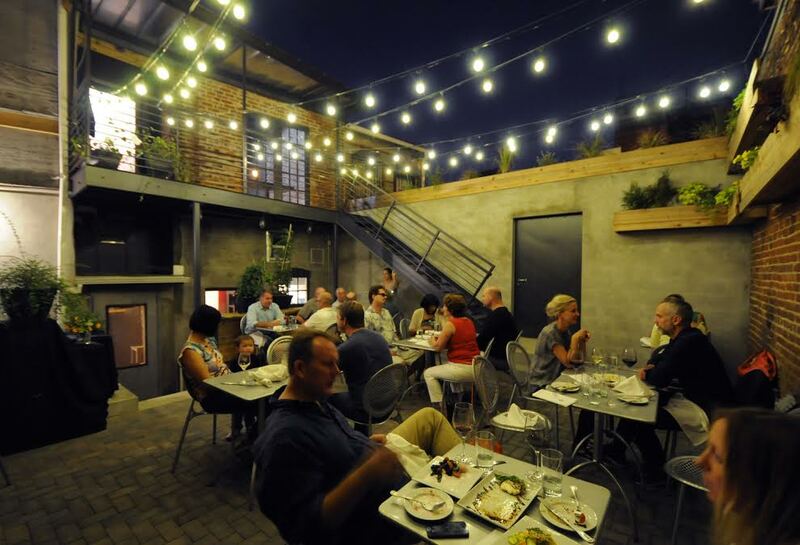 Join Inscape Publico and AFHdc Tuesday July 28, 2015 for a relaxing and enjoyable evening on Maple’s back patio to socialize and learn about Inscape Publico’s latest project, the St. John’s Episcopal School in Honduras. AFHdc Directors will announce their new chapter subcommittees and share other updates from the international chapter network. You won’t want to miss this great networking event with leaders in Social Impact Design in DC! RSVP for the event here. Can’t make the event but still want to learn more and/or contribute to the school in Honduras? Check out Inscape Publico’s Crowdrise campaign. Inscape Publico is a 501(c)(3) nonprofit architecture firm with the mission to provide professional architecture service for other nonprofits and the people they serve. Their understanding of the nonprofit community not only fosters excellence in design, but creates architecture that represents the vision, goals and sensibilities of each of its nonprofit partners. Inscape Publico serves as a catalyst and jumpstarts nonprofit projects by providing valuable visioning sessions and design services through a unique business model to help nonprofits understand their design needs to meet their goals and aspirations. AFHdc is a volunteer organization that works to solve social justice issues through sustainable design. Formerly operating for 10 years as the DC Chapter of Architecture for Humanity, AFHdc has provided pro bono design services for organizations locally and abroad. THE CHAPTER NETWORK (FORMER AFH CHAPTERS) HIRES A TRANSITION COORDINATOR! When the Architecture for Humanity headquarters announced they were filing for bankruptcy last January, many of their local Architecture for Humanity chapters were taken by surprise. Instead of closing up shop like their parent office, these community-based AFH chapters banded together and decided to stay open and continue to serve their communities around the world. Not only have they shown their resiliency by continuing on, these chapters have decided to rebuild an organization that better supports the needs of their volunteers and communities. The first major step was establishing a steering committee representing chapter leaders from each region worldwide. The second major step was announced last week, they have hired a transition coordinator! Alicia Breck is a strategist who works with government and not-for-profit organizations involved in city resilience and socio-economic development. She will be working closely with Garrett Jacobs, Acting Chair, and the rest of the steering committee. Despite the unfortunate news that our parent organization has chosen to discontinue operations and close their San Francisco-based office, the Architecture for Humanity Chapter Network is eager to continue our work. 57 chapters consisting of thousands of volunteers around the world provide pro-bono design services, advocacy, and training within our local communities. AFH Chapters have tapped into the growing enthusiasm of the design profession for a socially conscious practice, offering a space for residents, community leaders, designers and nonprofits to convene and build visions of a more inclusive future. We will continue to act as facilitators, fundraisers, teachers, community organizers, designers and listeners for those in need. The commitment of this network of volunteers remains unwavering, and we vow to continue supporting our local communities. We believe design is a right not a privilege. We organize today gathering our team of over 20,000 global volunteers to adapt to the changing climate of the design profession and to strengthen our commitment to advancing the mission of humanitarian design. True to our grassroots form, we are determined, agile and resilient. We are ready for the challenges of this new year and are looking towards a brighter future. United we stand stronger than ever. See articles at Fast Company and Architect. Treat yourself, or a friend, to a great gift this holiday season! Subscribe to PUBLIC Journal, a quarterly magazine about public interest design. AIA and AIAS members are eligible for a free digital subscription, but the print edition is so beautifully done that you’ll want it too. 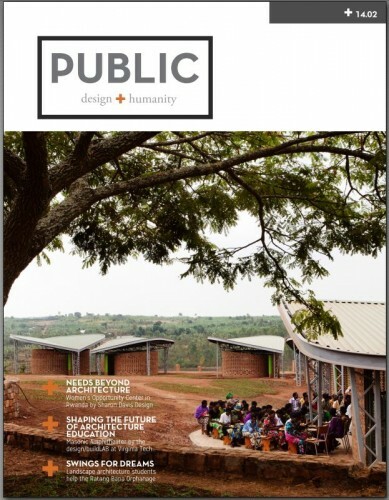 PUBLIC features thought-provoking editorials and exceptional photography of meaningful projects that are improving lives. Our readers get insight into the social, political, and cultural issues that surround this burgeoning movement. PUBLIC tells stories of like-minded individuals attempting to make a difference and celebrates their challenges and successes, one project at a time. Today’s growing Public Interest Design movement deserves to be exposed and archived. Subscribe here. Architecture for Humanity DC members are also eligible for 50% off. Contact the DC Chapter to find out more. 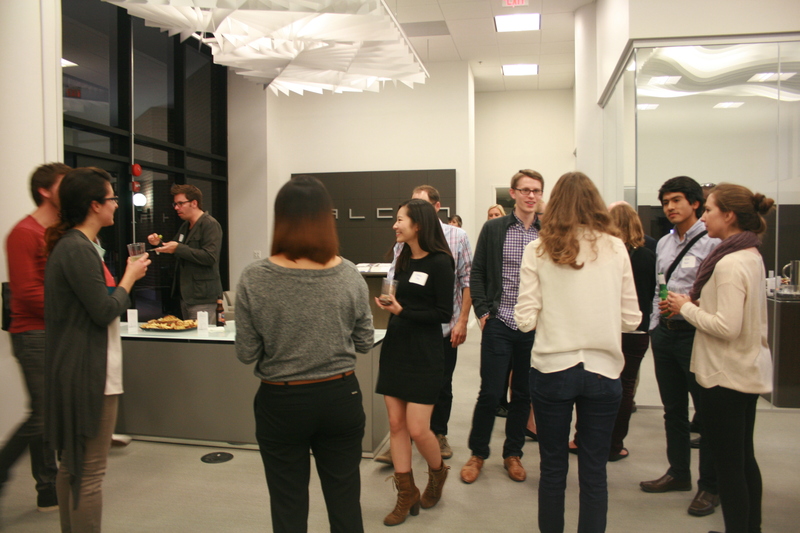 The Washington DC Chapter of Architecture for Humanity held its second annual Volunteer Appreciation Happy Hour last month. 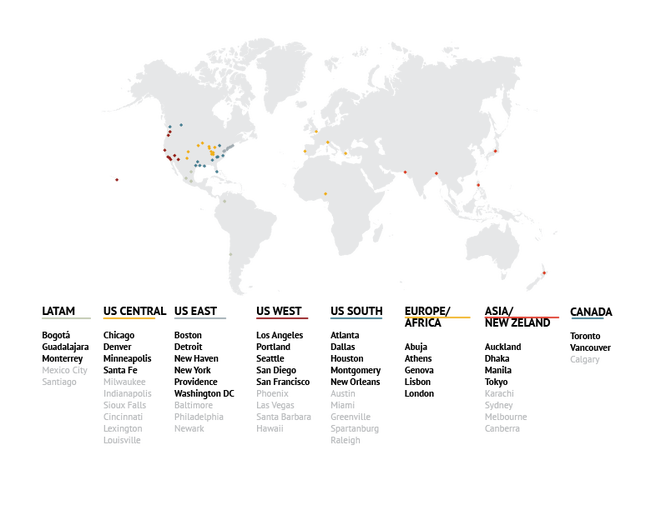 Architecture for Humanity is a volunteer non-profit organization set up to promote architecture and design to seek solutions to global social and humanitarian issues. There are Chapters all over the world, many which are grassroots all volunteer groups, like in DC. Contact your local Chapter to receive pro bono design services, to donate, or to volunteer. New projects for the DC Chapter include a Community Center in South Africa, an art installation for a farmers market in DC, and a renovation for a local school’s teacher’s facilities also in DC. Visit the main AFH website and the DC Chapter website to find out more.